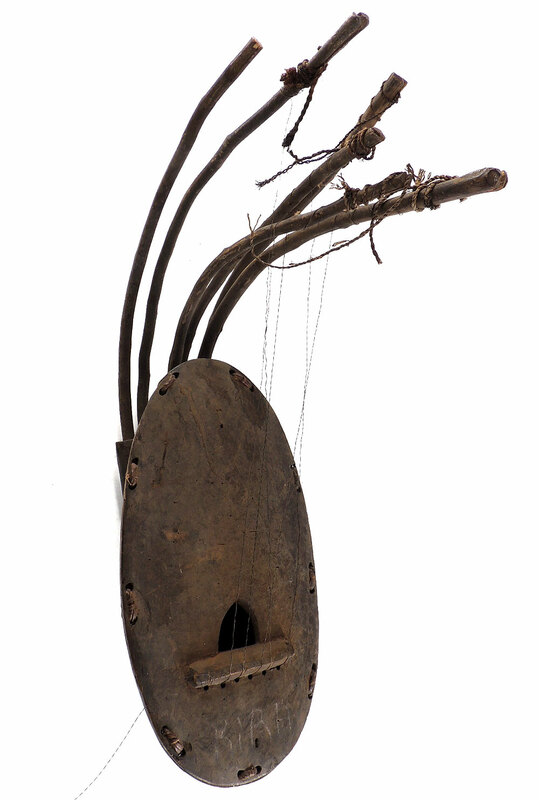 Additional Information: Such a harp called Kundi, is a traditional musical instrument found among the Mangbetu and Azande, the Boa and related peoples in the Democratic Republic of Congo. This well carved figural harp is a rare example of an art seldom seen on the market. It would be a good addition to a collection. 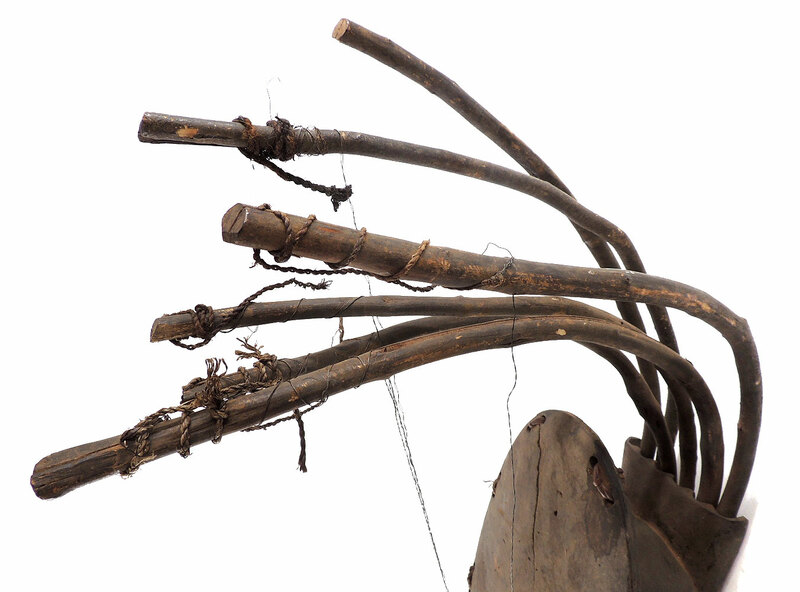 The Mangbetu sculptures symbolize the ideal of male or female beauty. This beauty is translated by the elongated , wrapped head with an elaborate hairstyle (hoalolike here) and by the geometric patterns and the body painting that are observed on the real individual in their personal appearance. Most of them portrayed existing people. For similar example see: Brincard Marie-Therese, 1989, SOUNDING FORMS. 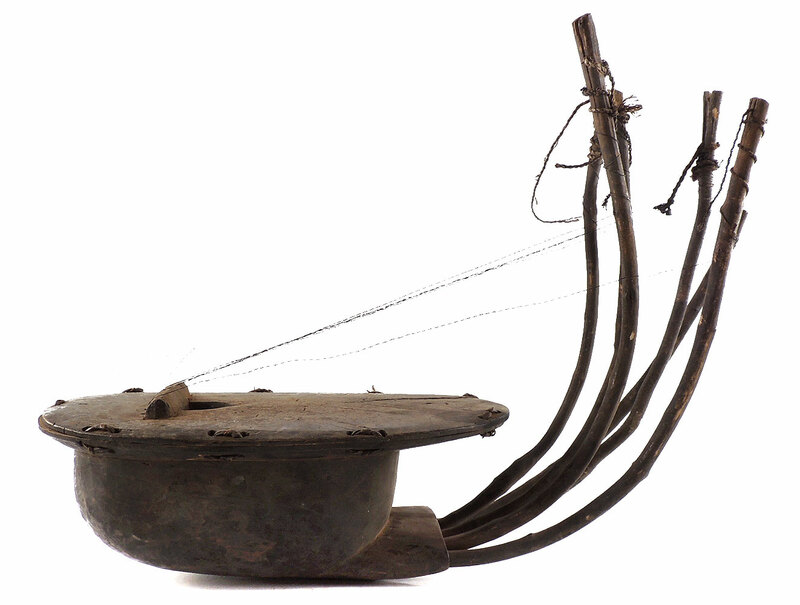 AFRICAN MUSICAL INSTRUMENTS, Fig. 8, pp. 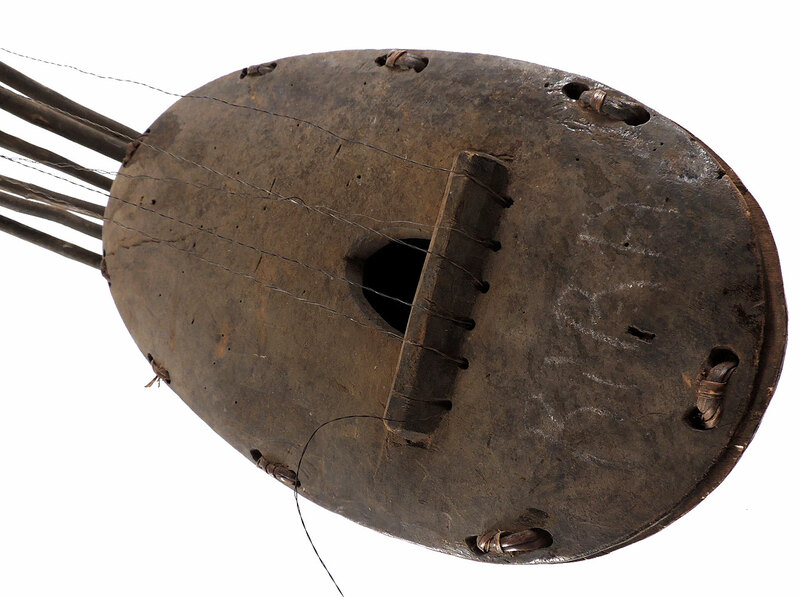 89, from Rietberg Museum, Zurich.